In June of 2002 I graduated from Amherst Regional High School in Amherst, Massachusetts. Not long after I walked across stage to grab my diploma, my Mom, Dad, two older sisters, and I headed off to Ireland for a family trip. ‘Big Daddy’ issue #10 featuring Dave Thompkins’ Paul C long-form article. During our time there, we traveled all over — visiting County Cork, Dublin, Galway, County Mayo, and several other destinations. It was during our visit to Dublin or Galway, I forget which one, that I found a record store a bit off the beaten path. This place was like the Fat Beats of Ireland. They had original/non-bootleg copies of classic mix tapes, all sorts of zines and magazines, a nice selection of new rap records, and even some random discount find s— I remember pulling a 12″ of Shai’s “If I Ever Fall In Love Again” with the acapella version on it from the dollar bin. Of all the purchases I made that day, the one that really changed my life was my decision to buy two issues of the UK magazine Big Daddy. Issue #10, which I decided to buy because of the bugged out cover art, featured a long-form article by journalist Dave Tompkins about late rap engineer, mixer, and producer Paul C. McKasty titled “Return To The World As A Thought” (easy to read version here, scanned version here). As I lay awake reading Tompkins’ work later that night, my 18-year-old brain was introduced to a story and style of writing that would have a profound influence on my life and my eventual decision to become a writer many years later. Paul C To The Organisms — an exclusive Micro-Chop playlist. Through carefully collected background research and extensive interviews with many of the people Paul C worked with, Tompkins pieced together an incredible story about a producer I’d never heard of before. 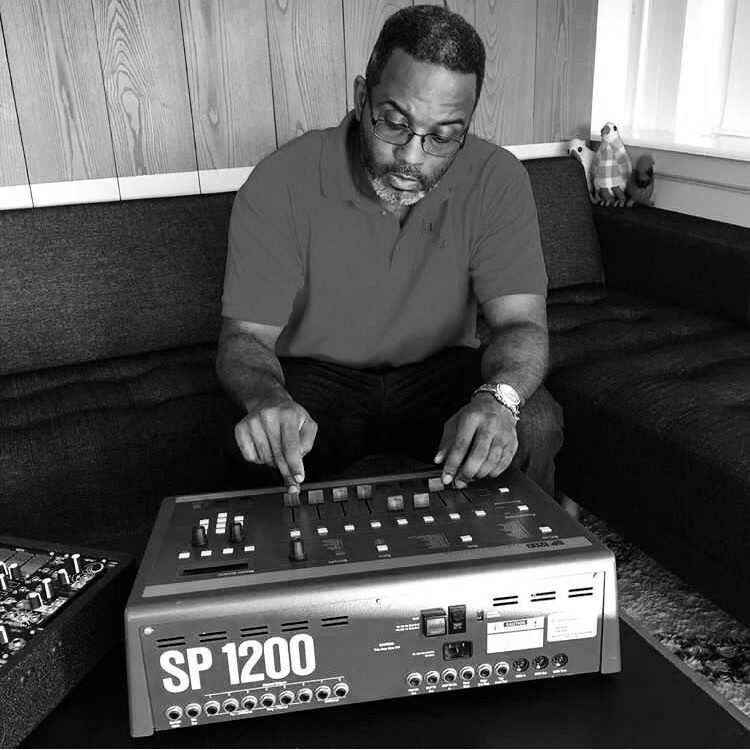 He highlighted Paul’s work and his mentoring of artists I know well like Ultramagnetic MCs, Large Professor, Organized Konfusion, Rahzel and Rakim, while simultaneously giving me a deeper understanding of lesser-known artists like Super Lover Cee & Casanova Rud and Mikey D. The article also gave insight into Paul’s innovate techniques as an engineer and producer. Tompkins long-form, which outlined Paul’s life from his earliest productions to his tragic murder in 1989, was one of the best features I’d ever read about a producer. I probably re-read it 4–5 times during the rest of the trip. From 2002 and onward, Paul C’s story always stuck with me. I remember stumbling upon various interviews where his name would pop up over the years, including Robbie Ettelson’s amazing three-part interview with Paul C’s close friend and collaborator CJ Moore. I always yearned to know more about him as an artist and person. Paul C To The Organisms — an exclusive Micro-Chop YouTube playlist. When director Pritt Kalsi released his film Memories of Paul C McKasty in 2013, it re-ignited my interest in Paul and his work. Kalsi covered some of the angles from “Return To The World As A Thought”, but there were also new angles to the story that — as far as I know — were not known by the general public. It made me realize how layered Paul’s life was and how much of his story was still untold. When I finally decided to make the leap to part-time teaching/part-time writing in the summer of 2016, I spent many months figuring out how to write articles that people cared about by practicing my craft. Then I started collecting my self-published work into my Micro-Chop publication. By the fall of 2016, my confidence to tell longer stories had grown. During a phone conversation at the time with my close friend Ariel Rudolph — who later ended up doing all of the original artwork for my piece “Paul C. McKasty: the Legend, the Tragedy, the Story of an Era” — I mentioned Paul’s story and my potential interest in writing about him. He was instantly intrigued. After sharing more details about the story with him in follow-up conversations, he implored me to write about Paul. Music video for Super Lover Cee & Casanova Rud’s “Girls I Got ’Em Locked” — engineered by Paul C.
Once I decided to commit to telling part of Paul’s story, my goal for my piece was ambitious. I wanted to talk about Paul’s life, his production technique, and his relationship with other people as a white artist in a predominately black art form, but I also wanted to weave in elements of what was taking place in the rap industry and in New York City as a whole at the time of his ascension. Much of my decision to tell the story from a broader perspective was due to encouragement and suggestions from Ariel. To do this, I spent weeks/months digging through magazine and newspaper archives and sifting through social media posts where he was mentioned. As I did this, I also read quite a bit about what was happening in New York City during the mid and late 1980s. I had to read, listen, and study to get a sense of a time and a place in history that I really had no direct involvement with. Though it seemed overwhelming doing all this research at first, I slowly built an amazing cache of resources that helped flesh out the life of Paul C. McKasty and the city that he lived in. Ultramagnetic MC’s “Give The Drummer Some” — produced by Paul C.
Interviewing people was a bit more challenging than the archival research. I had spoken to interviewees about dead collaborators, family, and friends before, but talking to people about someone who was murdered — a murder that remains unsolved — was something completely foreign to me. Everybody handles these things differently and there is no “right way”. I knew some people might want to share their remembrances of their deceased friend/loved one with me, while others might have viewed my attempts to talk to them as an invasion of their privacy. Whatever their view, I had to respect their wishes and be delicate in my approach. Since I had never done these kind of interviews before, I was apprehensive about reaching out to artists Paul had worked with, his friends, and his family. My nervousness wasn’t helped by the fact that some of the first artists I reached out to never responded to my inquiries. Super Lover Cee & Casanova Rud’s “Romeo” — co-produced by Casanova Rud and Paul C.
Over time, the interview results were mixed. Some of the people from his inner circle — like Mikey D, Lindley Farley (lead singer and founder of Paul’s first band), Stezo, and Twice Thou of The Almighty RSO — were gracious with their time and gave me extensive interviews. Dave Tompkins even agreed to talk to me about his experience researching and writing about Paul. And engineer/producer Nick Hook, who obtained Paul’s beloved SP-1200 sampler many years after his passing, also shared his story. Other artists agreed to talk to me but either stopped responding to me or were unable to set something up before I decided to publish my article. Though many of the artists Paul C worked with were unable or uninterested in speaking to me, and I didn’t receive a response from the one family member I reached out to, I was still happy with the final product. I thought — and some people close to Paul might disagree with me — that I wrote about his art, his life, and his untimely death respectfully. I didn’t engage in speculation and I tried not to over-focus the story on his murder. I wanted to shine a light on his work, the creative synergy of the like-minded artists he worked with, and re-introduce people to his body of work. Even if my final article isn’t perfect, I think I did that. Paul McKasty, Stuart Rifkin, and Lindley Farley (left to right) as Mandolindley Road Show circa 1985. Photo used with permission. Having said that, I often struggled with the morality of this piece. Who was I to dig up these 30+ year old memories, many of them likely painful to revisit for those who knew Paul? Even if my intentions were good, would my article do anything to add something positive to his legacy? Would readers actually take an interest in his music, or would they choose to focus more on his death than his actual art? Throughout all my self-doubt and questioning — and my occasional desire to give up the story altogether — Ariel was always there with a word of encouragement, some helpful feedback, or a suggestion. His amazing artwork also inspired me to get the job done. My wife Jenn also helped me stay focused and on course, making me believe that I could pull it off the whole time. In the final hours, respected editor/writer David Ma provided Ariel and I with some very helpful and necessary last-minute edits and suggestions. Without Ariel and Jenn, there is no way I could have finished this project. David’s assistance was also an immense help. On September 20th, 2017 — on what would have been Paul’s birthday — Ariel and I decided to self-publish the piece after considering modifying the length to have it picked up elsewhere. In the end, we decided to keep it at its current length and maintain creative control by self-publishing it on Micro-Chop. Since finishing “Paul C. McKasty: the Legend, the Tragedy, the Story of an Era”, several people have remarked that his story should be turned into a book or podcast. A recent post on Paul C’s family-run Facebook memorial page made it clear that at this moment they are not in support of such efforts at this time. I would only want to do further intensive work on Paul’s story with his family’s blessing, and if they don’t want a book written about his life and his work, I completely respect that. To date, Paul’s story is by far the most involved piece of writing I’ve ever done. I worked on it on and off for an entire year — tweaking it, adding, subtracting, and revising it more times than I can count. By doing so, I learned so much about Paul’s life, his strong bonds with other people, his music, and the world he lived in. I also learned a great deal about the creative process and the discipline needed to execute such an article. Even if it’s the one in-depth piece I ever write about Paul C. McKasty, I’m so grateful for the experience. I only wish his story didn’t have such a sad ending.